My friend Lee is always asking me to write music for him to sing over–“we just need an A and a B section!” he likes to say in endless encouragement–but as much as I try I usually come up short. A few nights ago I turned on the computer and loaded up an acoustic piano sound and tried (again) to do something for my friend. But I really just wanted to improvise. 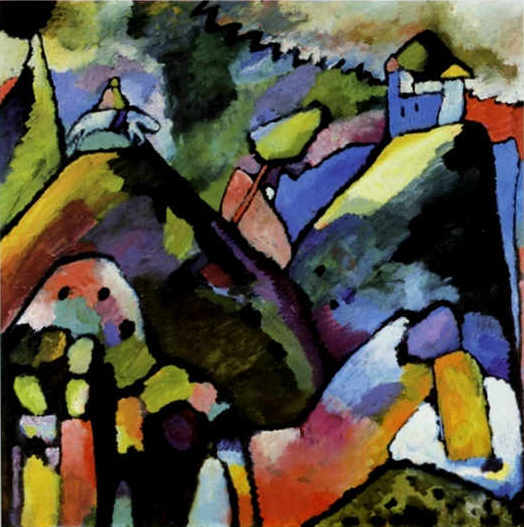 As a player of somewhat limited means, the kind of playing I’ve always gravitated to is modal–that is, music that stays in the same scale or group of notes for the duration of the improvisation. I also tend towards keeping my hands moving–often in an interlocking fashion where the left hand crosses over the right–to make a continuous rhythm. Most of all, though, I like experimenting with different “shapes” of my hands over the keyboard to make chords or note combinations that sound (and look) new to me. My hands keep trying new configurations in search of new sounds that make me feel anew. It’s not as much a matter of expressing my feelings through the keyboard as much as unearthing a sensual “language” for expressiveness. So, a chord doesn’t so much embody a feeling as much as seems to refract it through its juxtapositions of notes and intervals played with varying dynamics and rhythm. As I play, I begin by trying out some kind of pop-sounding chord progression. But it sounds contrived; it’s too simple, too boring to my ear. And as much as I try, I can’t ever seem to get my chord progressions simple enough. There’s always something a little off–like I’ve missed some fundamental concept of music theory. And besides, I’m feigning interest in a musical idiom in which I’m only a tourist (listening to songs while driving, for instance). It’s at this point that I momentarily “give up.” It’s a key moment because what I’m giving up is the pretense of actually trying to accomplish anything specific (like actually writing a song–ha!). Also, I’m giving up a sense of being in control over the outcome of my improvisation–of knowing and directing where it will go and how it will go. So “giving up” is a turning point where I lose all ambition (sorry Lee: there will be no “song” tonight) and just get into the experience the music is offering me. I like the piano because it has such a large range of registers, a rounded tone, and a sustain pedal that allows me to st r e t c h my playing and let sounds ring. And the amazing thing is that once I begin I forget that I’m using a little 61-key plastic midi controller hooked up to the computer via USB and triggering digital piano samples. The sounds fool me enough that I can lose myself in them, my body tricked into thinking this is a real piano and interacting with it accordingly, pressing those plastic keys as if they’re ivory. I try playing with an electronic metronome click track (in case later I might want to add other parts to the piano) but it feels constraining. When I play the piano without other sounds, I want sp a c e to play with dynamics and tempo, so I mute the click and just choose a fluctuating, personal tempo that feels appropriate for this late hour. Ahh, much better. After a false start, I hit record and improvise for five minutes. Listening to it now, it seems to have captured something of the moment. It captures less a feeling or a mood (though it does seem to have that) and more just musical thinking in motion. I like improvising because it moves at the speed of my thought (and the mechanical limitations of my piano technique! )–no slower, and certainly no faster. My improvisation (which hasn’t been edited in any way) has some space to it too, in the form of little pauses where I let notes ring out while I consider what just happened and where I might go next. For me, improvising on the piano like this is a fun and useful exercise in listening and concentrating. When you go up to the second floor of MoMA PS 1 in Long Island City, Queens and walk down the hallway you can already hear the ethereal floating voices of Canadian artist Janet Cardiff’s sound art exhibit coming from a large room around the corner, beckoning you to take a closer listen. 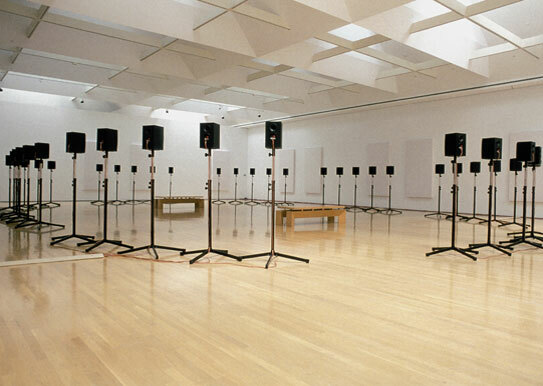 Walking into the room you see eight groups of five loudspeakers, stand-mounted at ear height and facing inwards, tracing a perimeter around an invisible oval. Keep walking into the middle of this speaker array and you find yourself buoyed by the glorious surround sound of forty recorded singers. The music stops you in your tracks and makes you think and feel anew, prompting a reflective state of mind. Listening while looking out the gallery’s windows where I could see in the distance traffic crawling silently on the Long Island Expressway against a bright blue sky beyond, time seems to come to a standstill. This music sounds like maybe it’s been playing continuously for hundreds of years–we just haven’t been paying attention. What is this? Cardiff’s Forty-Part Motet (2001) is a looped recording of English composer Thomas Tallis’s Spem in alium (“Hope in any other”), a sacred motet composed around 1570 and scored for eight choirs of five voices each. Cardiff made a multitrack recording of the Salisbury Cathedral Choir singing this powerful piece of Renaissance vocal polyphony, with each singer on his or her own audio track. On playback, each singing voice is assigned to a single speaker, creating not 5.1 or 7.1 surround sound but a forty channel stereophonic experience that has tremendous, almost hyper-real sonic clarity. “While listening to a concert you are normally seated in front of the choir, in traditional audience position. With this piece I want the audience to be able to experience a piece of music from the viewpoint of the singers. Every performer hears a unique mix of the piece of music. Enabling the audience to move throughout the space allows them to be intimately connected with the voices. It also reveals the piece of music as a changing construct. As well I am interested in how sound may physically construct a space in a sculptural way and how a viewer may choose a path through this physical yet virtual space. Cardiff’s piece then, invites ambient surround listening, close focused listening and mobile wandering listening. The only disconcerting aspect of the work is that the voices were recorded close-mic’d and thus dry and without reverb, giving them a clinical, disembodied sound. Whatever resonance they have comes from the natural reverberation of the gallery space, which helps bring them to life. But whenever one of the five voice choirs falls silent en masse, it sounds like their respective channels are momentarily muted (perhaps to preserve sonic clarity in the mix?) and their corresponding speakers just go dead, as if the power went off. Amazingly, one’s ear notices this subtle shift from virtual “liveness” to virtual “deadness” and it’s unnerving. Maybe the reason is that it’s a moment of rupture that breaks the spell of Cardiff’s work and reminds the listener that the power of sound reproduction technology to resurrect four hundred year old music is not without its limitations. But Cardiff plays with sonic rupture too by foregrounding the technology in a playful way. At the end of the performance loop of Spem in alium, there’s a three-minute pause of non-music before the loop begins anew. But this pause is in fact the three minutes preceding the choir singing–that is, it’s those moments when the singers are standing around and waiting to actually the piece. And if you happen to be in the gallery space before the music has started up again and put your ear up to one of the speakers, you can just about make out bits of conversation: a young boy talking to his friend about a cool new toy he just got, or an older man inquiring about the new job of his colleague (“…that’s a full-time job isn’t it?…”). Within moments of figuring out what was going on, I pressed my ear up against several speakers, desperate to learn more about the real lives of these real singers trapped inside of these cold speakers. I was struck by the playfulness of Cardiff choosing to include this casual pre-performance chat into the fabric of Forty-Part Motet. In doing so she not only foregrounds the technology that allows her piece to come to life, but also reveals its powers to turn us listeners into eavesdroppers. Below is a YouTube clip of the piece. The spatiality of its sound is quite good if you listen on headphones. Last week I attended a Powerpoint talk at my local public library given by a young Indian musician and composer named Rushi Vakil who spoke about the rhythms of Bollywood films. Surveying the history of Bollywood from the 1950s to today, Vakil traced the use of different traditional Indian rhythmic cycles known as taals as well as western music beat patterns that drive this multi-billion dollar and constantly evolving Hindustani-language film industry. From Bollywood’s earliest days, its musical soundtracks were east-west hybrids that blended Indian instruments and musical structures with western ones. In some old black and white film clips Vakil played in his presentation, you could hear the melismatic singing style of Indian Hindustani classical vocalists atop of American jazz rhythms. You could also hear more complex traditional Indian taals such as Rupak taal, a 7 beat cycle (3+2+2), and Dadra taal, a 6 beat cycle (3+3) which somewhat resembles western waltz time. At the same time though, traditional folk rhythms such as the shuffling four-beat Punjabi dance music called bhangra can still be heard. Below is an example of the bhangra rhythm in the song “Boliyaan” from the movie Aloo Chat (2009) (the bhangra beat begins at 0:36). Notice that it’s the same rhythmic feel as that heard in the “Bolo Kaisa Haal” song above–the only real difference being the modern electronic sounds. The shuffling bhangra beat is not only infectious and catchy, but it seems to almost define the Bollywood sound, the go-to beat whenever there’s a group dance scene. Moreover, bhangra seems to be able to blend with just about anything which is perhaps why it appears over and over again in Bollywood songs, if only as a background rhythmic texture. Vakil pointed out the source of an interesting distinction (in just his mind or in the minds of most Hindustani classical musicians I’m not sure) between what he called “sacred” traditional Indian rhythms and (mere) western “grooves.” For Vakil, western grooves such as a hip hop pattern in 4/4 meter are fixed beat sequences that loop around as endless rhythm. In contrast, the Indian rhythmic cycles or taals always have contrasting sections built into them. To illustrate this, Vakil discussed the Hindu concept of khali or “empty” beat. 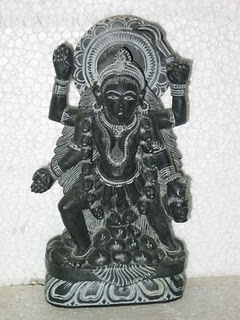 (Vakil pointed out that in Hindu mythology, Kali is a goddess associated with eternal energy, time, and change. Kali, as I would learn, derives from the Sanskrit root word “kal” which means time. Is Kali related to khali? I don’t know.) In music, khali is the name given to the empty beat in the taal rhythmic cycle. Taals are usually played on a percussion instrument such as the tabla by using various types of finger strokes to articulate the different beats of the rhythmic cycle; taals can also be clapped by anyone wishing to keep track of where they are in the cycle. So, a sixteen beat taal such as teental is divided into four sections (vibhaag) of four beats each; the third grouping of four beats, beginning on beat ten, is the contrasting or “empty” kali section, giving the overall shape of the teental an AABA form. Admittedly it’s difficult to hear these kinds of subtle musical details in Bollywood songs because there’s often so many sounds already layered in there, and Vakil’s musicological discussion seemed to fly right over the heads of the All Ages general audience of about fifteen people who had come to hear his talk (a seven year-old was crawling over the chair next to me). But Vakil nevertheless touched on an important theme of how tradition is always encountering modernity in music. And of course, one of the wonderful things about rhythms–whether they’re of classical, folk, or modern heritage–is that they can be easily blended like spices or paint pigments to make new synthetic whole. Speaking of synthetic, over the past few decades the Bollywood sound–as you might have already noticed from watching the YouTube clips above–has become increasingly digital, produced cheaply on Apple computers running Logic audio recording and MIDI sequencing software. Vakil observed that Logic is the software of choice for Bollywood music producers in India today, no doubt partly due to the fact that Logic has–by coincidence or design, I’m not sure–thousands of looped instrumental sounds, including many Indian instruments and grooves. (I also know that Logic is no longer copy protected, which means that one software owner can freely share the software with friends . . . ) Gone are the days when dozens of highly trained Indian musicians would gather in a recording studio to lay down a soundtrack live to the movie while a veteran playback singer like Lata Mangeshkar sang away in a vocal booth. Now, a single composer-musician can build entire tracks on the computer, maybe overdubbing a live instrument or two for authentic acoustic flavor. As Vakil reached the present day with video clips of Bollywood movies from the past few years, I couldn’t help noticing how radically the Bollywood soundscape had changed. Sure, the bhangra rhythms are still there in the mix, but often there is also something very American pop- and hip hop-like in there too. To my ear, the melismatic Indian melodies have been way toned down in favor of what sounds like a much more monotone, half sung, half spoken word sensibility. Watching clips from recent films I thought about how Bollywood musicals map a history of a nation’s modernization since independence in 1947 through a continuous engagement with Western music. I also thought about what Alan Lomax once referred to as “cultural grey-out”, a phrase used to describe an indigenous society modernizing and losing its cultural distinctiveness in the process. 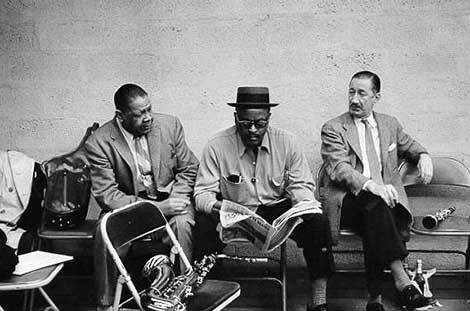 Lomax felt that western popular music in particular was a force that could make the world’s musics sound more and more the same. In Bollywood we hear, over and over again, Western musical influences being a conduit for expressing desire, coolness and a modern sensibility–whatever that happens to be at the time the movie was made. In Bollywood, the rhythms of western musical styles from jazz to disco to hip hop and electronic dance music become signifiers of a kind of cosmopolitanism and remind us that globalization is very real indeed. For another take on the making of modern Bollywood soundtrack music, listen to this story on Karsh Kale on NPR. In his recent New Yorker article “Personal Best” (October 3 2011), physician and writer Atul Gawande explores the question of whether or not professionals–such as say, doctors or teachers–might benefit from having personal coaches watch them as they work and then provide performance critiques. For most of us, once we finish school and get out into the working world, our days of having teachers are over. And once we’re working, some of us (most of us?) are never again closely observed in the workplace. In those professions where a reliably high level of performance is paramount–like professional sports or acting–getting regular guidance is key. If, then, professional athletes and actors have coaches, what about the rest of us? Without coaching, how will we know we’re really performing to the best of our ability? Gawande is a surgeon in Boston and the author of the books Complications (2002), Better (2007), and The Checklist Manifesto (2009). One of the things that makes his writing compelling is how it examines the mechanics of performance–specifically how we do things in the heat of action as well as the decision-making processes that guide us. In Gawande’s medical world, even microscopic improvements in technique or decision-making can save lives. Gawande describes how he had hit a plateau after eight years of working as a surgeon and so decides to ask one of his former surgery teachers (now retired and writing books on navel mapmaking!) to observe him in surgery–in other words, to coach him. The teacher agrees and watches one of Gawande’s routine procedures while taking copious notes. Afterwards, the two doctors chat about what was done and what was observed. Interestingly, Gawande’s coach observed, among other things, some small details having to do with the author’s body positioning at the operating table. Long story short, Gawande feels that he learned more from a single observing-coaching-feedback session than he had in years of working on his own. In the course of the article, Gawande also accompanies some academic coaches who visit a middle school math teacher in Virginia who wishes to improve her already impressive teaching acumen. And Gawande talks with some famous musicians too, like violinist Itzhak Perlman and vocalist Renée Fleming, both of whom still use coaches to help refine their work. For many years, Fleming has taken weekly lessons anytime she has an important upcoming performance, and for Perlman, it’s his wife (also a violinist) who provides him with another set of ears and tells him what his playing sounds like. From Gawande’s article we get a sense of coaching as an advanced kind of teaching that works by tweaking a new self-awareness in us, the observed. Coaches see and hear things that we can’t because we’re either too busy caught up in the flow of our performance or else we’re too numbed by the repetition of something we’ve done a million times before. Coaching, says Gawande, can lead us to make discoveries about how we do what we do, make productive changes based on these discoveries, and thus become better at our profession.